What a week! This will be one we continue to talk and reminisce about with our kids, I suspect, for years to come like I remember my senior year and the winter of 1978 when we had snow drifts to the peak of the house and a week of snow days cancelling exams even. All of those pictures you may have seen are very accurate! I’m so happy that the temps are warming and snowfall is subsiding. Today is a good day to clean up. Oh, by the way, if you didn’t see it on Facebook, here is a little gift I created for you and your students in the spirit of Principal snow day songs. Enjoy! I know I have said this before. I wish each one of you had the ringside seat to see, hear, and participate in all that goes on at Rose Park each and every day like I do. When I give tours, as I do more and more at this time of year, I love to give everyone I can a glimpse into all of the daily goodness of what God is doing at Rose Park day to day and hour to hour. Sometimes it is just in the seemingly simple and routine practices that that daily goodness and grace shine so brilliantly. In addition to all of the amazing faith-integrated learning and exploration, unique and routine moments of joy, hospitality, and grace punctuate the special Christian learning community we enjoy at Rose Park. Whom do you know who needs a tour? Please send them my way! Kindergarten Enrollment begins on February 5 at 7 am. 3 Day+: Available at Rose Park and South Side, students attend school Monday/Wednesday /Thursdays. They also add a 4th day, Tuesdays, after Spring Vacation. 5 Day: Available at Rose Park and South Side, students attend school full days Monday-Friday. Spanish Immersion 5 Day: This class, held at Rose Park, meets full days Monday-Friday. Forest Kindergarten 5 Day: This class, held in the Forest School building, meets full days Monday-Friday. Please enroll your child in kindergarten by March 1 in order for us to prepare class lists. Children will need to be 5-years-old by September 1, 2019, to enroll in kindergarten for the 2019-20 school year. Please note, if there are more applicants than seats available in Forest School or Spanish Immersion kindergarten, a lottery will take place at 8 am on February 8 and families will be notified of the results on February 11. Preschool Enrollment begins February 12 at 7 am. With our 3-year-old, 4-year-old, and Junior Kindergarten morning classes, Spanish Immersion offerings, afternoon enrichment classes, and before and after school care parents can create a fully customized preschool schedule, ranging from part-time to full-time enrollment. Visit hollandchristian.org/preschool to learn all about our preschool offerings, including class schedules and tuition rates. Preschool enrollment requires a $75 deposit. Preschool enrollment is on a first come, first served basis and some classes fill quickly. This is a reminder to all parents and drivers to never park and leave your car in the curved drop off drive between 7:30 and 8:20 in the morning. The curved driveway is meant for drop off only at the curb. When cars park on the curb and the driver leaves, it becomes dangerous for others trying to drop their children off, some having to cross from the other side of the driveway. Again, Preschool through 6th grade, please do not park in the drive, but only stop along the curb long enough to drop off your students. If you wish to get out of your car, please find a spot to park in our parking lot and accompany your students into school. Since I (Rod) cannot be out there every morning to greet and monitor, I need to ask for and depend upon everyone honoring this request for the safety and protection of all of our precious students at Rose Park. Thank you for your cooperation. With flu season upon us we want to you of a few guidelines we have in place at Rose Park. If your child is not feeling well, please keep him/her home. Students must be fever free for 24 hours without use of a fever reducing medication before he/she may return to school. Please let us know each day your child will be absent. 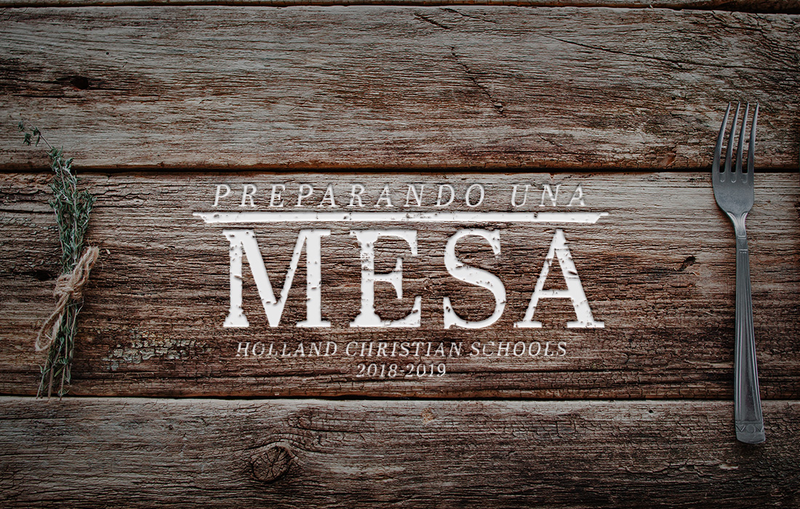 You may call and talk to us directly, leave a message on the 24 hour-a-day voice mail, or you may email Mrs. Steenwyk at dsteenwyk@hollandchristian.org or Mrs. Chase at cchase@hollandchristian.org. If your child has an appointment during the day, please email the teacher or send a note stating the time you will pick up your child. We will have your child waiting for your arrival in the office. Rose Park Running club is open to all 3rd, 4th, 5th and 6th grade girls. Registration closes on Friday, January 25. Please email lauriendannenberg@gmail.com your child’s name and contact information to register. Our season will begin on Thursday, March 7th. Come run with us! Our ski club dates for this year are February 8, February 22 and March 1. MOMS IN PRAYER- All Moms are welcome to join us in the library on Friday mornings from 8:15-9:05. We’ll sit at our Father’s feet and share our hearts with Him, both verbally and silently. Come check out the blessing…. Athletic Sensations is offering a Baton Twirling class on Tuesdays, beginning February 5. Please click here for more information and to register.